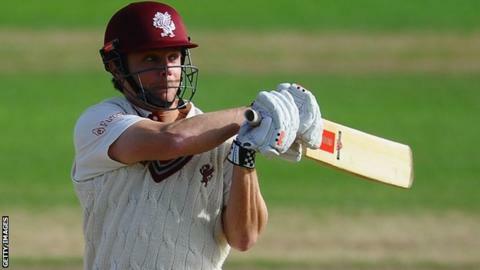 Somerset batman James Hildreth says the four-day game is still the most important format in cricket. Since its inception in England in 2003, Twenty20 has become the most popular for spectators. Somerset attracted an average gate of 7,300 at Taunton for T20 games last season - six-times the average of a Division One match over four days. But Hildreth told BBC Somerset: "If I get runs in the four-day, I value that with the most importance." He added: "I love going out there and getting first-class hundreds. That's what drives me every day." The 29-year-old, who has spent his entire career with Somerset, averages 43.29 in the first-class game, compiling 29 centuries in 161 matches. But he admits he can see the appeal of T20, in which he averages 22.91 and has scored one century. "I do enjoy Twenty20 because you get the crowds, buzz and excitement," he explained. "You also have the no-fear attitude that if you express yourself, and it comes off, then you look great. If it doesn't come off, you can just say 'that's Twenty20'. "But I hope the four-day and Test games keep the same level of importance and people value it. I believe it's the hardest. It tests you more than any format." Hildreth, who bats at four in red-ball cricket, is vice-captain at Taunton, working alongside long-time skipper Marcus Trescothick. The Somerset opener is now 38 and, after a poor season with the bat last year, it was reported he could give up the captaincy to concentrate on his game. However, Trescothick has remained in his position and Hildreth is happy to work as his understudy. "Tres is hugely influential on the team. We all respect him as a cricketer and as a leader," he said. "My role will be to help him out as much as I can. "But Tres isn't going to play forever and I definitely harbour ambitions to captain the club at some point. Hopefully it's a natural stepping stone."